Taking up a new fitness regimen is fairly typical this time of year, but what one musician in Phoenix, Arizona is doing, is anything but typical! 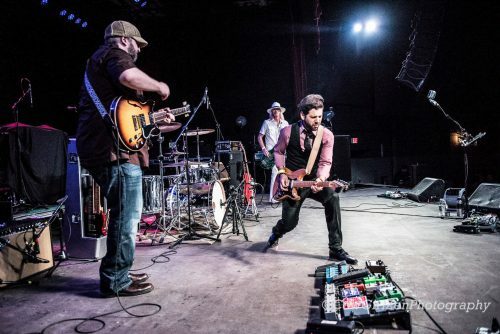 Musician, Lee Perreira, has his sights set supremely high for 2018, beginning with running the Rock n’ Roll Marathon this Sunday, January 14th and a live performance on the main stage immediately following! Yes, you read that correctly, he will be running 26.2 miles with a goal of finishing in under 4 hours and then he will crush it live on stage after Everclear! Can you say, “dream big or go home?” Many of us can’t even imagine what it’s like to accomplish such a feat as is running 26.2 miles, let alone be upright afterwards! That is some serious commitment and training for this once less than avid runner. Some may say he’s crazy, I say he’s crazy motivated and fitness is his driving force! Either way, let the inspo flow from Lee Perreira, the #MarathonMusician! I recently sat down to interview Lee to learn a bit more about what makes him tick and I think you’ll agree, he’s one giant badass bringing the heat in 2018! Have you always been physically fit and an avid runner? If not, how did you first get into running and marathons? I have not always been physically fit or an avid runner. I used to actually HATE running! It was my grandfather’s influence that initially got me into running when I was in my early 20’s. I just never stayed consistent with fitness and running until now. What I have to remind myself is that the running and fitness help my mind as much, if not more, than it helps my body. I always feel less stressed and happier and have greater ideas when I’m physically active. IE #MarathonMusician! I read an article in Runner’s World that to get your body ready for that type of distance you need to run around 50 miles a week for 2-3 months to make sure your body can handle it, which I did before I ran my first marathon. When I’m in full training mode, I run 5 miles in the morning on Monday, Wednesday & Friday, while also doing a 60-90 minute full body workout in the afternoon that focuses a little more on legs. On Tuesdays and Thursdays I run 10 miles and on Saturdays I do a longer run of anywhere from 13 to 18 miles. At 2 weeks out from the marathon, I take that back to let my body rest and recover and be at peak level for race day. I get in about 30 miles a week during the last 2 weeks. No specific diet, I just eat organic. I count chemicals not carbs or calories. I like to be able to pronounce the ingredients in my food. Hmmm…”I count chemicals not carbs or calories”…I like that! How do you properly fuel your body for such long distance runs? What are the most positive effects you’ve come to realize as a result of taking up running? Mental clarity! The physical changes are apparent to everyone, but it’s the mental clarity I get from running that is by far the greatest positive effect. Lee has lost 30 pounds since beginning to train for the Rock n’ Roll Marathon in the end of 2017! 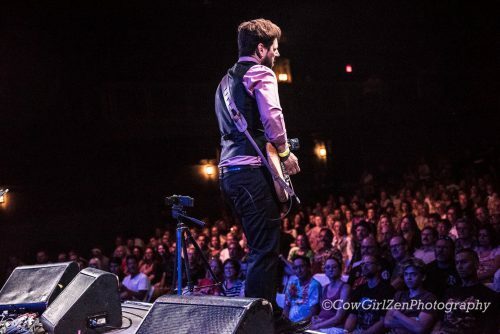 As a musician, do you find that being physically fit helps you on stage with your performances? Absolutely! Being physically fit gives me more energy to put breath into my singing and stamina to keep it up from the beginning of the gig until the end. 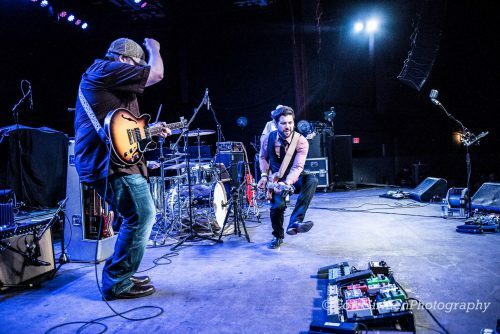 Also, when I’m performing with my band, I’m very active on stage. I will move around, climb on stuff and run through the crowd, so being in great shape helps tremendously while I’m singing and being active. Well 2018 is going off with a bang! On Friday, January 5th I’ll be releasing my 1st single “Puppet” off of my upcoming full length album called “What’s That Gotta Do With My Dreams?” Then, on Sunday, January 14th I’ll be running the full Rock n’ Roll Marathon from Phoenix to Tempe and then after I’m done running, I’ll be performing with my band on the main stage right after Everclear! It’s going to be a great time and I can’t wait to accomplish another goal of mine. In February (date TBD) I’ll be releasing my full album. I can’t wait to see what the rest of the year holds! I intend to run marathon’s all over the world and then perform after I complete each race. How do you see yourself and your fitness evolving over the next 5 years? That’s a great question because I never thought I’d be running marathons, so who knows! Maybe a triathlon?! What I do know is that fitness and running are the key to me continuing to grow, improve and becoming the best version of me that I can become. I have BIG goals and I intend to reach them all! When I complete something like a marathon there is a power that comes with it. A sense of accomplishment that breeds new determination to fulfill the dreams and goals I have yet to achieve. Any new releases coming soon? Yes! My first single “Puppet” will be released on Friday, January 5th and my new full length album “What’s That Gotta Do With My Dreams?” will be released in February. 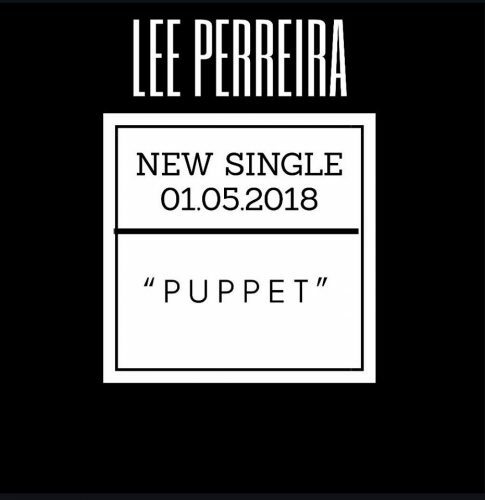 (date TBD) Head over to leeperreira.com to download his latest single “Puppet” for free here!